Beidh an chéad siúlóid eile ar siúl againn Dé Domhnaigh 8ú Lá de mhí an Mhárta Le linn Seachtaine na Gaeilge 2015. Is ar Poll na gColm i gContae Fhear Manach a mbeifear an ceann scríbe againn an t-am seo. Ag imeacht 10rn ón Charrchlós Mhuileann an Choirce. Tosófar ag 12 meánlae ag Poll na gColm. agus beidh siad ábalta dul isteach sa phluais taobh leis an eas galánta. The next walk is on Sunday 8th March during Seachtain na Gaeilge 2015. Pollnagolum (Poll na gColm 'cavehole of the rock doves') in Co Fermanagh is our destination this time. Leaving at 10am from the Cornmill Carpark. Beginning at 12 midday in Pollnagolum. 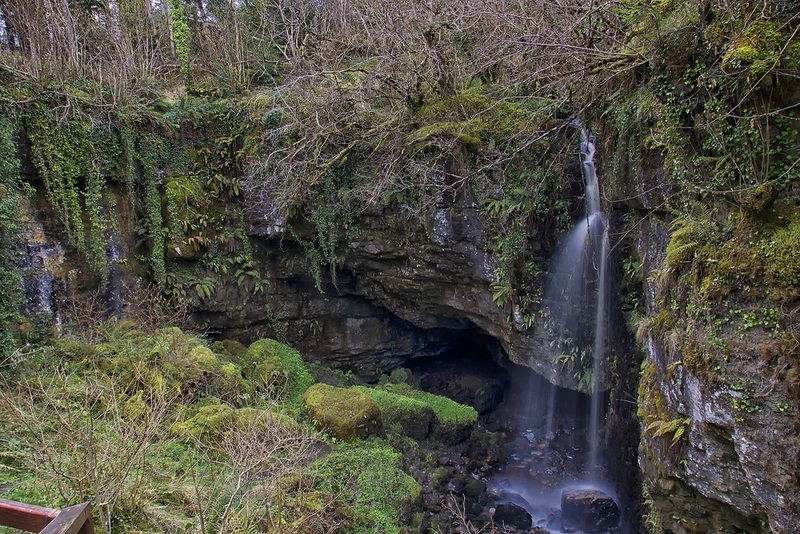 Poll na gColm is located in the Tullybrack Hills at Boho and participants in the walk can enjoy the fantastic scenic beauty of the karst limestone landscape and enter the cave alongside the picturesque waterfall. Má tá suim agat ar JRR Tolkien agus Tiarna na bhFáinní, léigh faoi Poll na gColm eile atá suite sa Bhoireann i gContae an Chláir! Did Gollum get his name from a cave in the Irish Burren? CCB ar siúl againn 26/03/2015 ag 7i.n. san Iarscoil atá suite ar thailte Ghaelscoil Uí Néill. Fáilte roimh achan duine.